You’re in charge of shutting up. That’s your job. Tonight we watched two videos from my new favorite speaker, Mark Driscoll. Entitled “What Kind of Man Are You,” these videos describe the two categories that men tend toward – The Chauvinist and The Coward. He subdivided each of these two categories into 4 specific type of men, and explained what each of them sounded like and what it was like to be married to them. Each is only 5 minutes and will have you wincing from hearing the truth, and laughing cuz you know the guy he is describing. Plus, you’ll have to watch the video to understand the title of this post. You’ll be laughing when you do…. Mark doesn’t pull any punches here. And as a pastor of an 8,000 member church in Seattle – mostly single men in their 20s and 30s – he knows how to speak to “his people.” Watch the videos here: (by the way….once you finish watching these, check out a few of his other videos. They will be on the youtube sidebar and are refreshing and insightful. If you can find the CNN interview of Mark and DL Hugley, it is worth the 7 minutes). The discussion afterward was great. We had guys who said they saw themselves in both categories. We had other guys who didn’t think they had any of these attributes. All of us knew people who fit into these descriptions. Most of the guys recognized that they had some, or all, of these attributes from time to time. 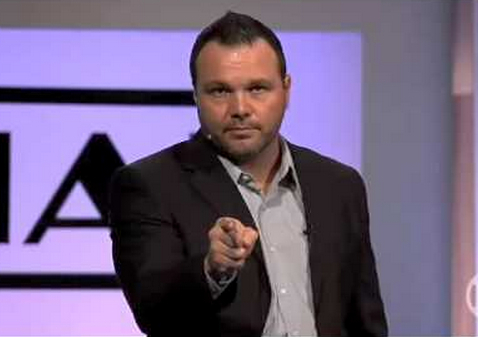 We will be watching more of Mark Driscoll in the future.